Drama Queen (super mag-emote): Sticky Note: Lee Min Ho’s new Kdrama! It’s confirmed! 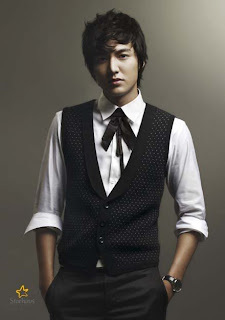 Lee Min Ho will be the main lead in the Kdrama Personal Taste. The whole production is still mum who will be the female lead, hmm..is it? I'm dying of curiosity! It will start filming by February and aired by April. This Kdrama was rumored (maybe 2 years ago) to be the next project of Goong’s lead actors Yoon Eun Hye and Joo Ji Hoon but never materialized. Their loss is LMH's gain. Personal Taste is the story of a straight guy who pretends to be gay to live with a female friend. This will certainly be a riot and can’t wait to see LMH’s gay acting.